WebRTC is More Than Just P2P. 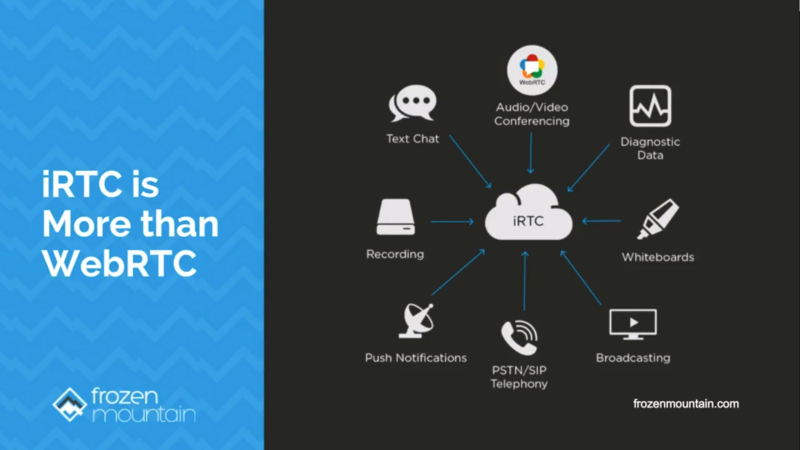 Sophisticated developers are realizing that the peer-to-peer framework defined by WebRTC can be expanded to much more than simple voice and video. 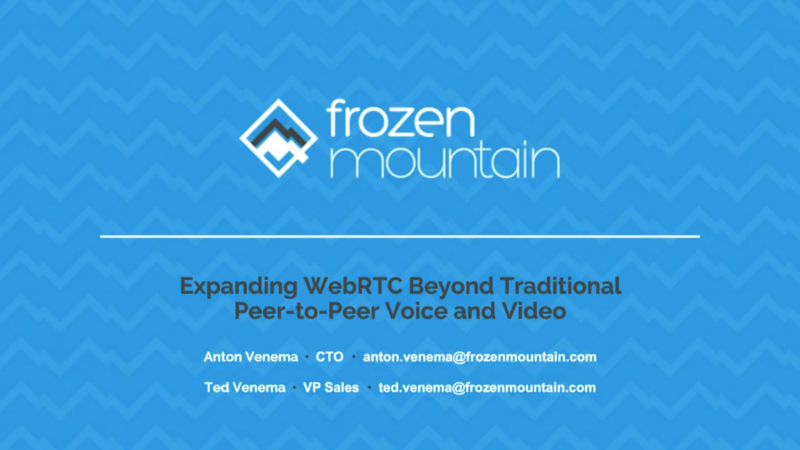 Learn more about how organizations can leverage Frozen Mountain iRTC in their applications - Watch the webinar.